Finding and following your passion is what Nima is all about. A trial lawyer for 14 years, he had an opportunity to retire, so he turned is life-long passion to become a photographer into a reality. That’s pretty amazing in itself, but I think Nima’s strengths are his pursuit of understanding the world he lives in. You can tell what Nima cares about just by viewing his most recent work, showing the world a different culture, a different point of view, whether social, cultural or political. I’ve worked with Nima over the last year, and every time I see new work from him, I see him continuing to grow as a photographer, challenging himself to venture into a world he knows nothing about to learn about it. It was no surprise when Nima got accepted into the Eddie Adams workshop last year. 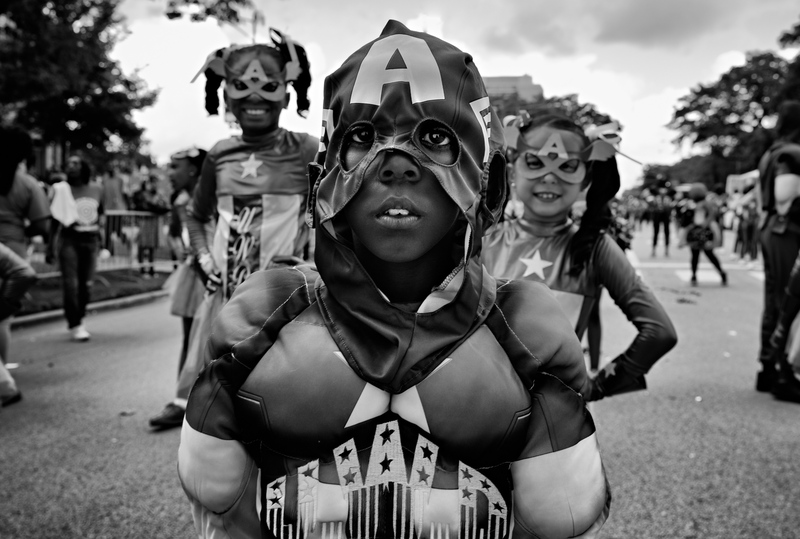 Here is one of my favorites images Nima shot last year from the Bud Billiken Day Parade.